While Mazda became one of the most well-known automotive brands in the sports car world; after the development of the legendary Miata; the niche automaker is doing its best to redefine its worth with the introduction of its newest compact crossover SUV – the Mazda CX-5. Despite being a SUV, the 2019 Mazda CX-5 still offers plenty of power. Featuring a 2.5-liter turbocharged inline engine that can produce up to 250 HP and 310 lb.-ft. of torque. Despite receiving sports-car like power, Mazda’s newest SUV also provides complete control thanks to Mazda’s predictive i-ACTIV all-wheel-drive, which makes driving over loose snow, packed snow and ice, and wet pavement easier than ever. 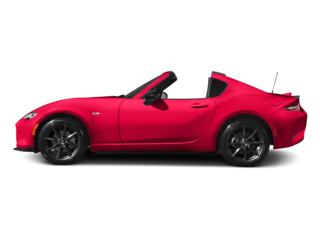 Mazda’s industry-exclusive G Vectoring Control system also reduces engine torque output, which shifts weight forward onto the front wheels to deliver a crisper speed when taking curves. 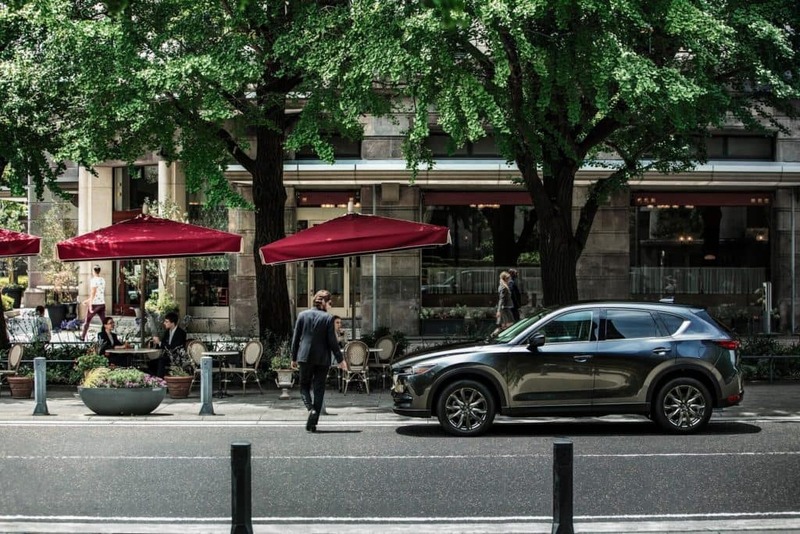 Like most Mazda models the all-new 2019 Mazda CX-5 reflects this automotive brand’s obsession with design that retains Mazda’s familial look with a highly functional and business-like interior. 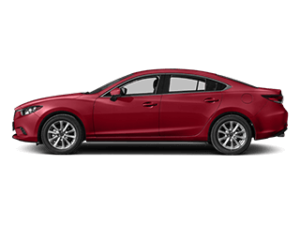 With heated and cooled Napa leather seats, a heated leather steeling wheel, a power liftgate and Mazda’s Active Driving Display head-up system. 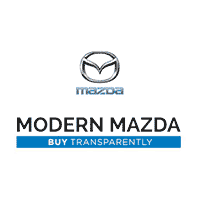 Along with luxury features this Mazda model also includes a spacious inside for larger passengers and rear cargo space of up to 30.9 cubic feet behind the second-row seats, and 59.6 cubic feet of space with the rear seats folded down. Best of all, this fancy new SUV even has a sunroof to enjoy daily drives. This new SUV crossover also includes much of the latest tech features like a 7.0-inch infotainment system; mounted high on the dash for visibility; that includes built-in navigation, Apple CarPlay and Android Auto and SiriusXM satellite radio. To assure that both you and your passengers have all their devices charged there are two USB ports in the front center console and two more in the rear. What would any family friendly SUV be without the most up-to-date safety features? Luckily, the 2019 Mazda CX-5 has everything that you could ask for and more. Along with Active Driving Display that projects vital information onto the windshield including safety system warnings, vehicle status, current speed and route guidance. The vehicle also includes i-ACTIVSENSE technology that uses milliwave radars and cameras to keep you in tune with your surroundings and avoid potential hazards, avoid collisions and even giving you a sense of oneness with your vehicle. It’s time to take another look at both Mazda as well as Modern Mazda’s entire lineup of Mazda SUVs, including the all-new Mazda CX-5. Get to Mazda dealer in Thomaston, CT today to find out why this SUV is sure to be at the top of the most luxurious SUV crossovers to date.